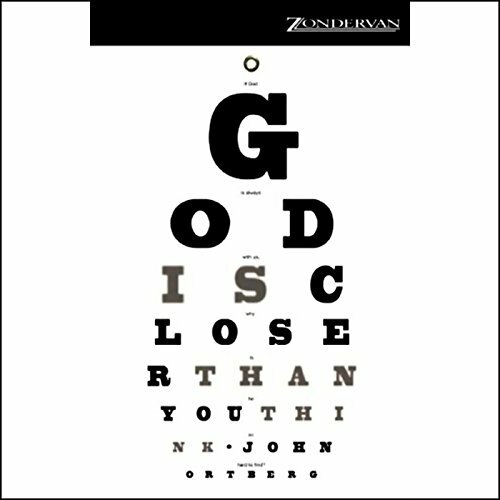 God Is Closer Than You Think shows how you can enjoy a vibrant, moment-by-moment relationship with yoru heavenly Father. Not some abstract theological concept, but the real deal, intimate connection with a deeply personal God. 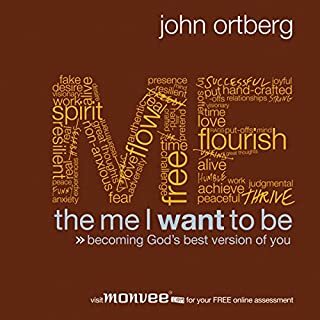 Best-selling author John Ortberg reveals the face of God waiting to be discovered in the complex mosaic of your life. He shows you God's hand stretching toward you. 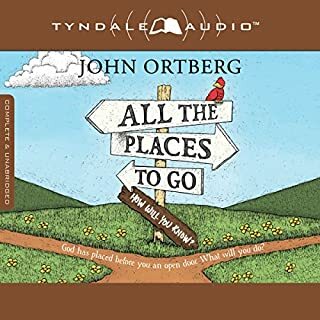 And, with his gift for storytelling, Ortberg illustrates the ways in which you can reach toward God in return and complete the connection, to your joy and his. John is serious about many things but has a great sense of humor that makes this a joy to listen to and packed with wonderful lessons. I highly recommend this book. It isn't a one-size-fits-all, feel-good book. Practical and entertaining. He helps you find God using examples both sublime and ridiculous, from Michelangelo to Where's Waldo to a 2 1/2 year old child. If you listen to this and don't learn something, you weren't listening! 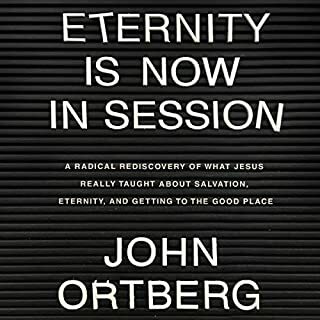 john ortberg has written many good books over the years and you can add this one to the list. 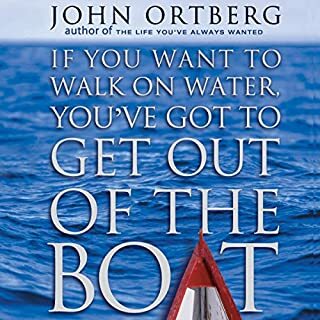 John Ortberg is so inspirational! This book is an eye opener. It was a game changer for me. I absolutely enjoyed and benefitted from this book. Analogies, narratives, etc. were very thought provoking. The author has penned a book that the more you read/listen, the more you want to read/listen. Often entertaining, challenging in its honesty. John Ortberg helps us think about how to 'make up there come down here'. 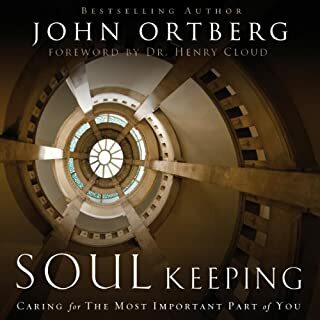 I recently finished listening to John's new book on Soul Keeping and wanted to hear more from him. This book is even better, and partly because it's narrated by the author. I'm listening to it for the second time, and working through the printed version too. John's a masterful story teller about the Master. Two scenes that were most noteworthy. The first was John's story about a young father showing off pictures of his toddler. John's recognition that the man was looking at his son the same way that God looks at us was powerful. In addition, his description of the scene with Mary and Martha was perfect in helping me determine to be "in the dust of the Rabbi." I have an hour commute each way on my way to work, so I listened over the course of three days. love it. Great read would recommend to all of my loved ones. God is good. I found this book to be boring and uninteresting the author gave no real indepth insight and was not overall appealing. I found myself forgeting what he said and turning off the CD. It took me two weeks to get through this book because it was not a good book for me. This book has moved me and got me reading the book, it is thought provoking, it has made realise that God is closer than you think!! I love this book. There is so much sense, encouragement and realness in it. I highly recommended it. Really enjoyed listening to this book as it gave several ways to view God's presence in your life. 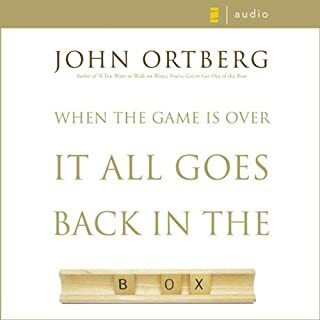 A great reminder of everywhere and I loved that John Ortberg gave humorous anecdotes from his own life experiences. I will probably listen to this again in future and possibly even purchase the hardcopy.